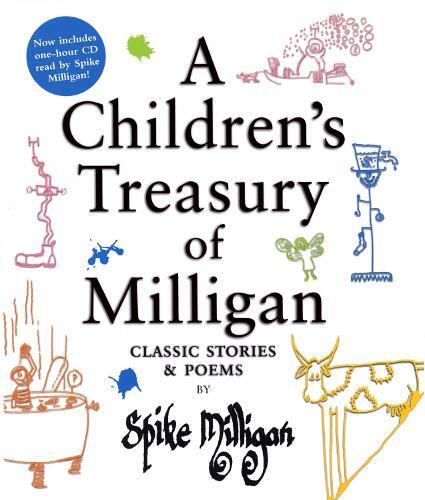 Spike Milligan's publishing career began over forty years ago when Silly Verse for Kids was published in 1959. His poems were inspired by listening to his own children, and subsequently his grandchildren, and marvelling at the way they could invent new words or incorporate sound effects into their everyday language. Spike did not regard children as small adults, but as entirely different species who lived in a secret, magical world that very few adults understood. For decades he delved into this world, delighting children - and adults - of all ages with his poems and stories. Illustrated throughout with Spike's own drawings and specially commissioned artworks, this is an ideal read-alone or read-aloud book for Spike fans of all ages, featuring: Silly Verse for Kids (1959), The Bald Twit Lion (1968), A Book of Milliganimals (1968), Unspun Socks from a Chicken's Laundry (1968), Sir Nobonk and the Terrible, Awful, Dreadful, Nasty Dragon (1982), and Startling Verse for All the Family (1987). Perfect for my amatuer storytelling with phase2 children at my local primary school.